Come meet Bernese mountain dog Kitty Jacob Astor II, who reigns supreme at the St. Regis Aspen and take home his plush replicas. 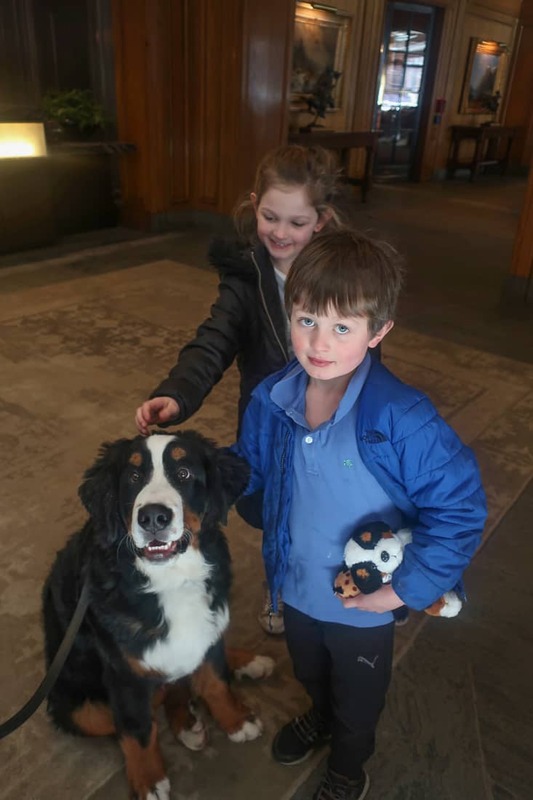 In addition to greeting you in person, Kitty the resort’s Bernese Mountain dog makes his way in plush form into welcome kits for kids at the St. Regis Aspen. If you are like me, the mere mention of the word Aspen conjures very specific visions. Gorgeous people in fur coats, reflective sunglasses and carefully curated vintage ski onesies, celebs casually enjoying apres ski come to mind. Striking a pose at the resort’s “snowglobe”. Well, it is chic, and it is expensive, and yet, it is an amazing place to bring the family. 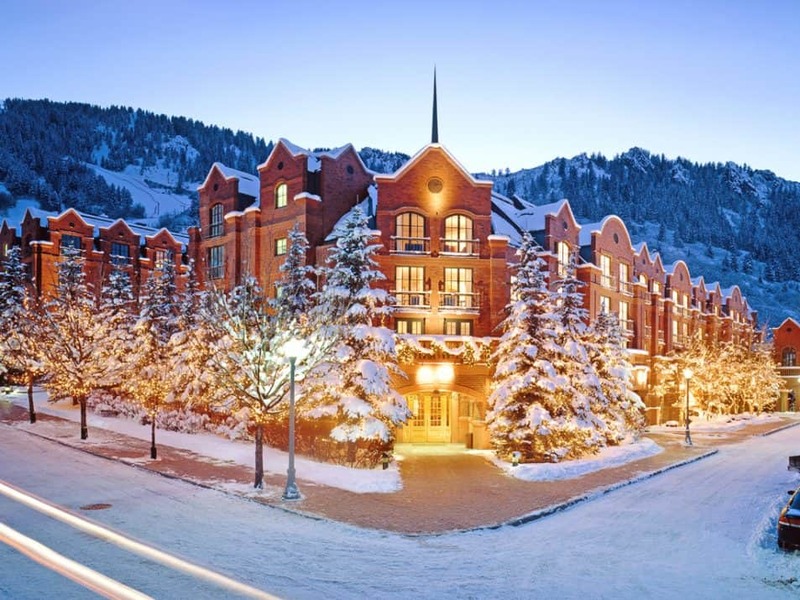 And there’s no better spot to stay in town than the St. Regis Aspen. Designed as what I would coin, “alpine opulent,” the rooms and public spaces gleam with metal and silver, perhaps reminiscent of the silver rush on which the town was founded almost 150 years prior. It is shiny and stunning. 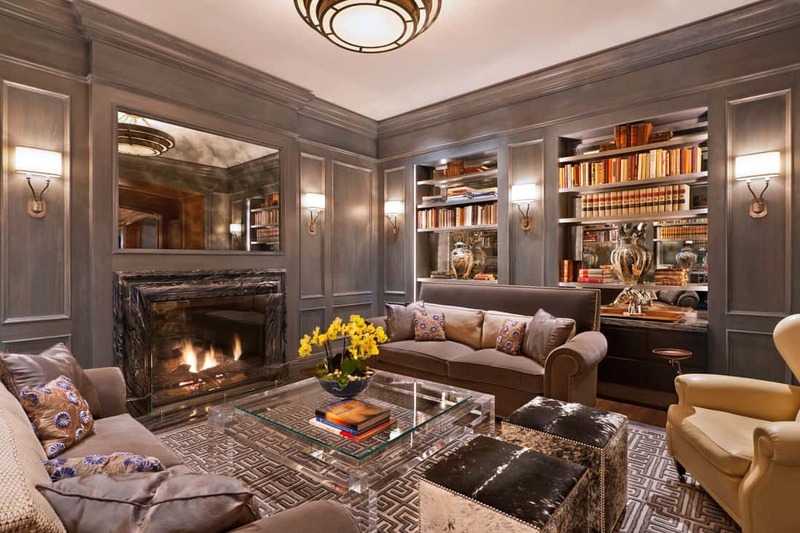 You will not find antler chandeliers adorning the ceilings but, rather, reflective mirrors, plush faux fur and leather accents in the hotel library. Photo courtesy of the hotel. The St. Regis, like many other ski resorts, has its own onsite canine greeter, Kitty, the 6-month-old, 80 pound Bernese mountain dog. 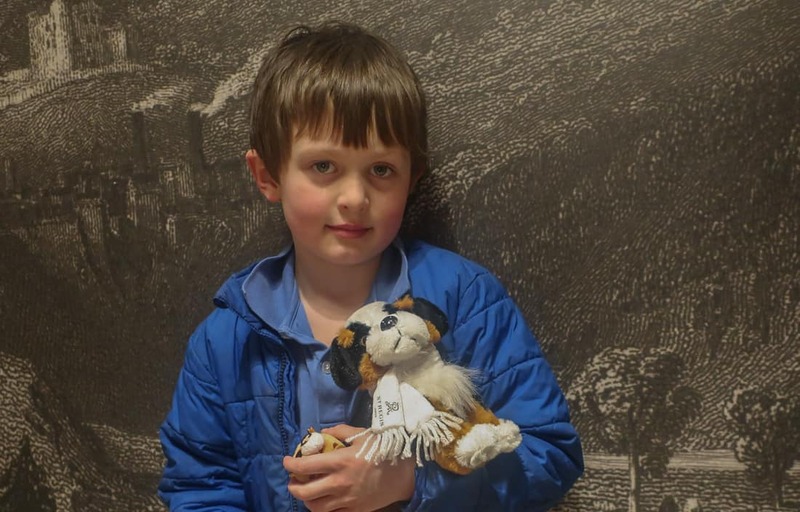 His full name is Kitty Jacob Astor II, named after another dog owned by original St. Regis New York owner, John Jacob Astor, Upon arrival, our kids received a bag of goodies with plush versions of Kitty. Meeting Kitty at check in. The resort is also amazingly pet friendly and offers weekly “bark & brew parties”. It is a perfect destination if you are traveling with your four legged friend. 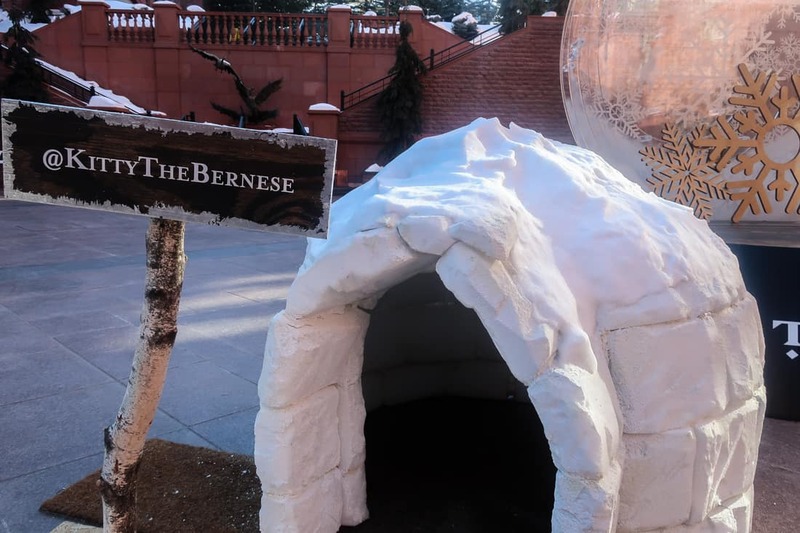 Even Kitty has a swanky retreat at the St. Regis Aspen. Our kids loved Kitty’s outdoor igloo. 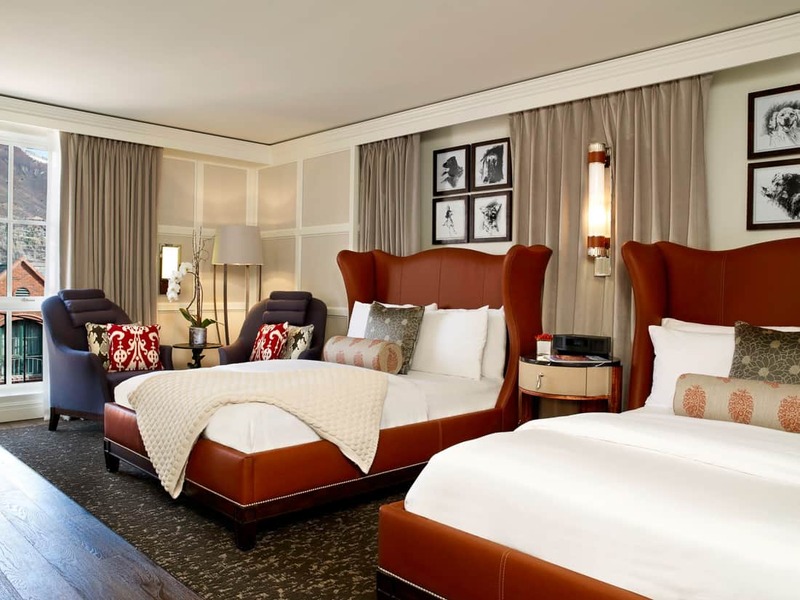 The rooms are cozy and inviting like other St. Regis properties. The suite level room category also comes with your own private butler service. They left surprise sweet treats for our kiddos, and —although I was tempted on the packing and unpacking option they offer—my type-A personality would not let go of those reins. Maybe next time. The junior suites and higher include butler service. Photo courtesy of the hotel. Entry level rooms accommodate four if your family can work with two double beds. Otherwise, bump up to a junior suite with a king bed and sleeper sofa. You’ll also get butler service with that room category. The standard rooms can accommodate four with two double beds. 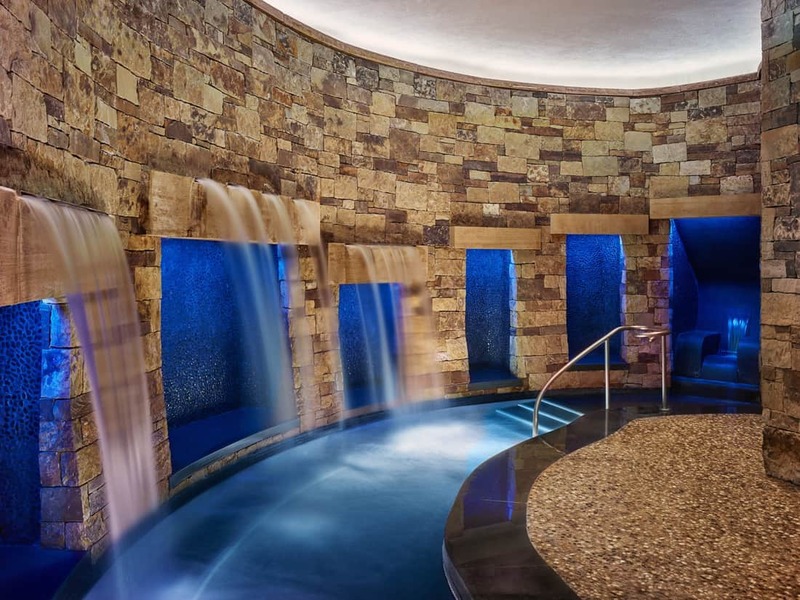 On this trip, I didn’t have a spare minute to poke into the Remede spa, but its accolades precede it, boasting the #1 Spa in the World according to Travel & Leisure magazine. I will be sure to carve out some spa time for the next visit. The St. Regis Aspen spa uses CBD oil in some original treatments to reduce inflammation. Photo courtesy of the hotel. In addition to more traditional spa treatments, the Remede Spa offers something called the Mala Experience. It involves a private meeting with yogini Alexa Webster and aims to “fulfill the mind, body, and soul through connection, self-awareness, and lifestyle practices to live with energy and joy.” That’s a tall order for $400. We did enjoy the heated, outdoor pool, as well as the hot tub area which my kids seemed to own all hours of the day. 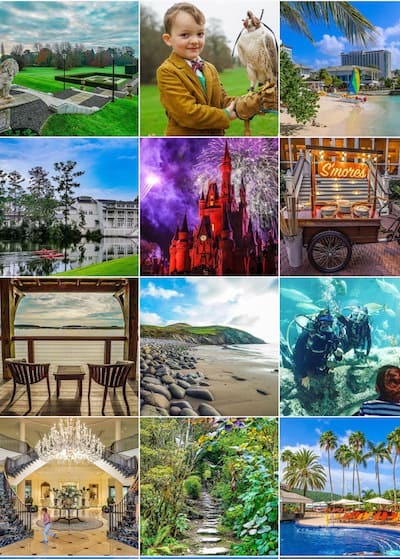 JOIN OUR LUXURY HOTELS & RESORTS FOR FAMILIES, A FACEBOOK GROUP FOR SEEKING ADVICE AND INSPIRATION FOR THE BEST LUXURY FAMILY BREAKS. Onsite apres ski is a lively scene in the lobby bar, Mountain Social. Bands play nightly to an energetic crowd. 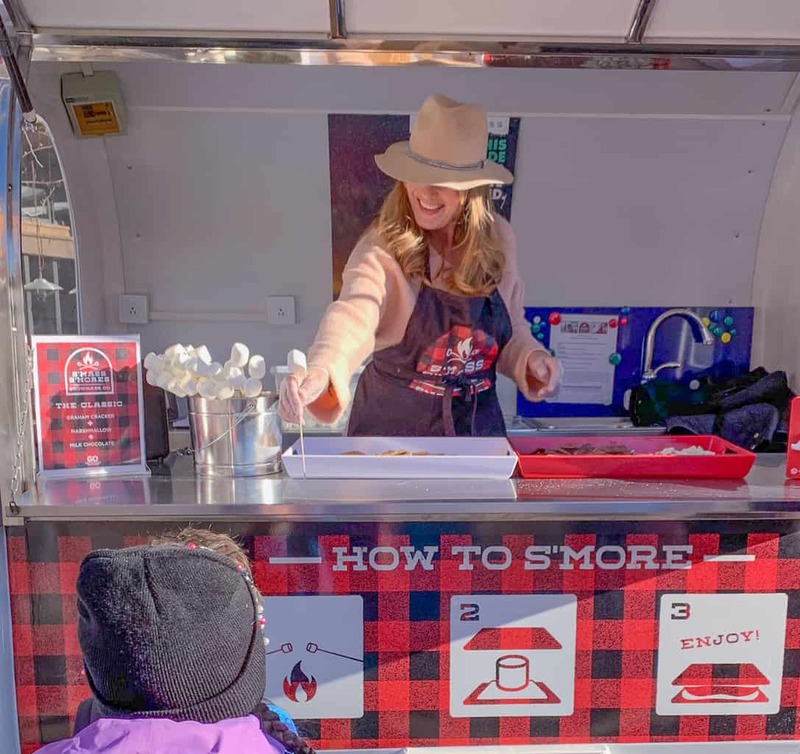 Throughout the day, there is complimentary coffee and hot cocoa, so you can keep your caffeine fix up while the kiddos overdose on marshmallows. 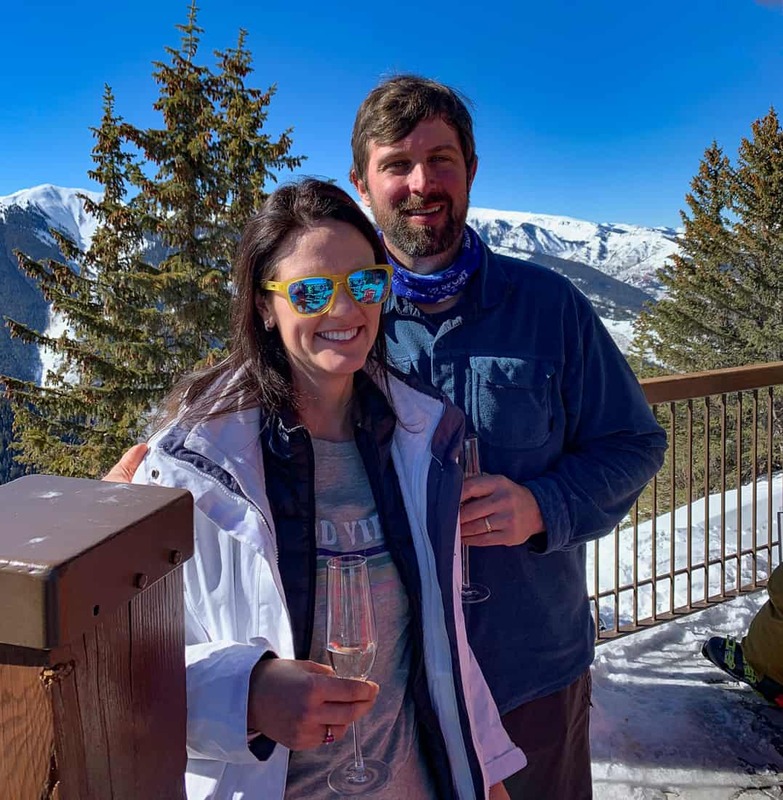 A well earned glass of bubbly at the Sundeck on Aspen Mountain. If you want to show the kids a little wow factor, check out the daily champagne sabering ritual and enjoy the sparkling brut to follow! 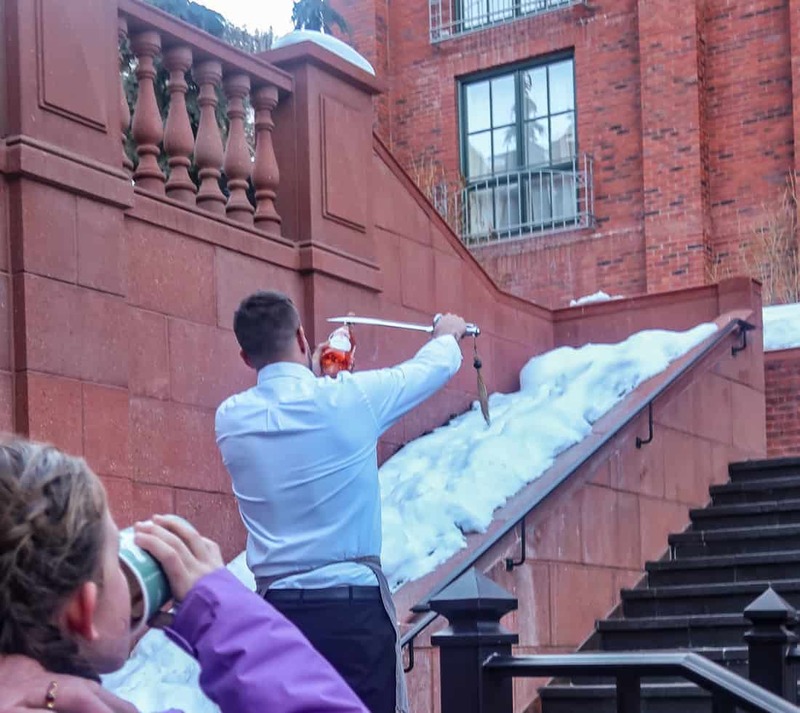 The daily Champagne sabre experience at the St. Regis Aspen. The location of the hotel is also one of its biggest draws. The town of Aspen is quite possibly the largest and best ski village in the west. A New York City style grid of streets are lined with luxurious shops, galleries, and restaurants. It is so accessible that walking the town could be a full day’s activity without even popping on ski boots. 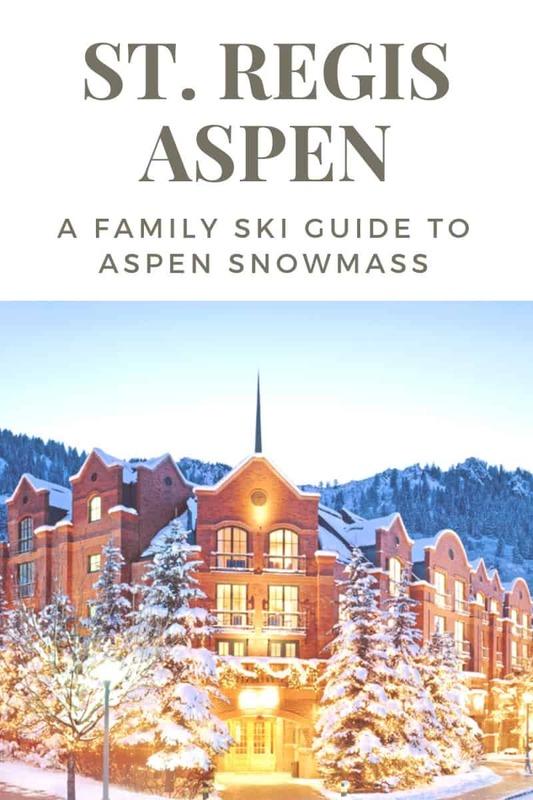 The village of Aspen is a luxe and easy family playground. We were fortunate enough to wake up early one morning (blame the East Coast time zone) and walk through an empty, tree light town en route to Paradise Bakery for our morning muffins. This is also a great spot for afternoon cookies and ice cream. Kid-friendly CP Burger offers quick and easy counter service with hot dog and hamburger stand bys as well as an awesome plate of tater tots and spiked milkshakes – yes please! Our entire family enjoyed a delicious Italian meal at Casa Tua one evening and my daughter noted it was some of the best bolognese she has ever had. Window shopping is amazing here with gorgeous galleries spilling over with paintings, funky shops selling some crazy leggings and great outdoors shops like Ute Pioneer. I even poked into a store full of some of the largest crystals I’ve ever seen. For an easy $50,000, you could go home with an amethyst geode the size of your head – I never even knew I wanted one of those! When you are ready to hit the mountain, Aspen/Snowmass boasts four separate alpine ski areas. Unlike other west coast mountains, these options allow a family to create a truly bespoke vacation based on interests. Our kids can tackle the steep blues and blacks, so this was a trip to build on their skills. But beginners have many options, too. Directly behind the St. Regis, Aspen Mountain (which some refer to as Ajax), is steep— offering only blue and black runs for your intermediate and higher ski bums. Artist Jayson Fann creates giant spirit nest installations made from invasive eucalyptus trees. These are on top of Aspen Mountain. The gondola does allow for foot pass right up to the aptly named Sundeck restaurant which is a perfect place to take in a sunny lunch. We were beyond lucky to have a bluebird, spring-like skies for every day of our trip. 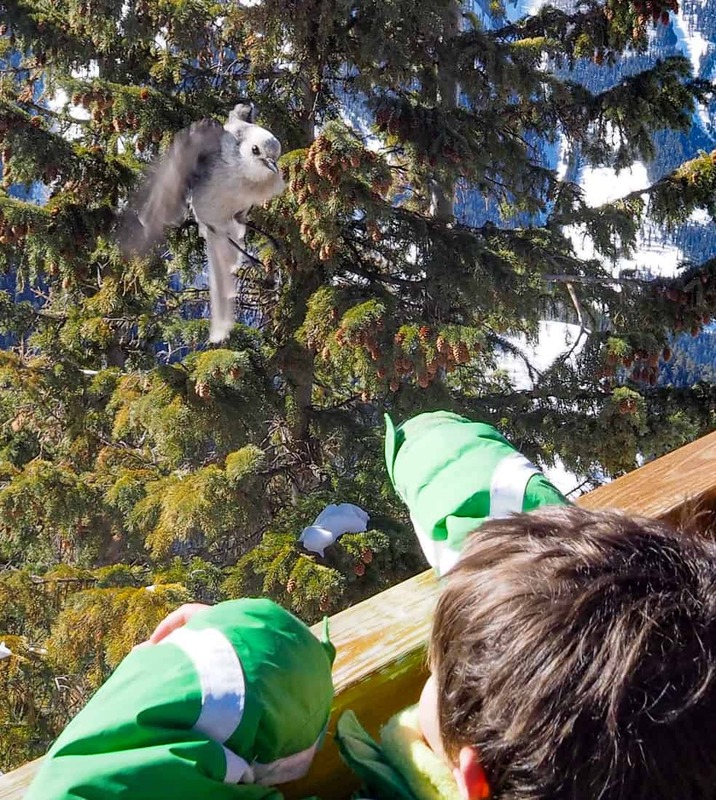 We drank champagne outside while our kiddos had a blast feeding the local birds right out of their hands off the deck! Nearby Highlands Mountain is an intermediate spot and is most well known for the Cloud9 Champagne Party that takes place at 2pm. Not really the spot to bring a young family, but I will be sure to partake on our next kids-free trip. 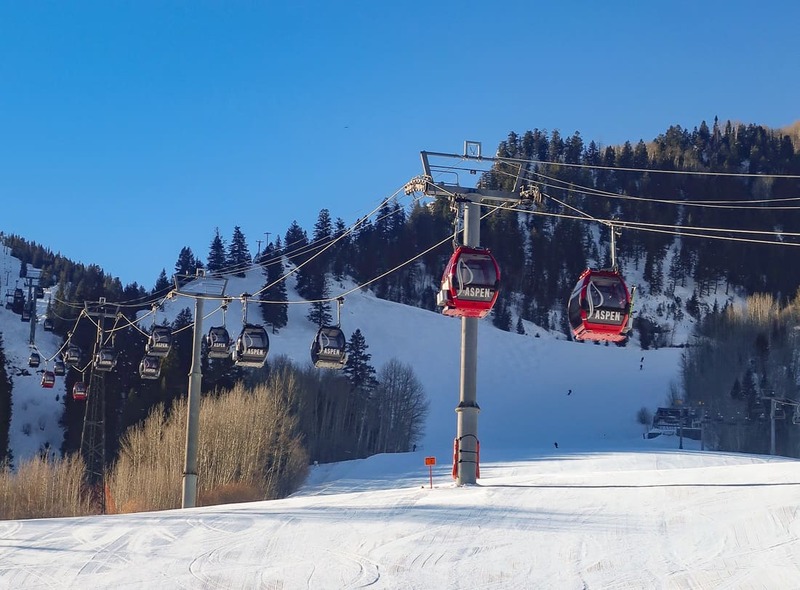 The iconic red Aspen gondolas go straight to the top so even non skiers can enjoy the view! 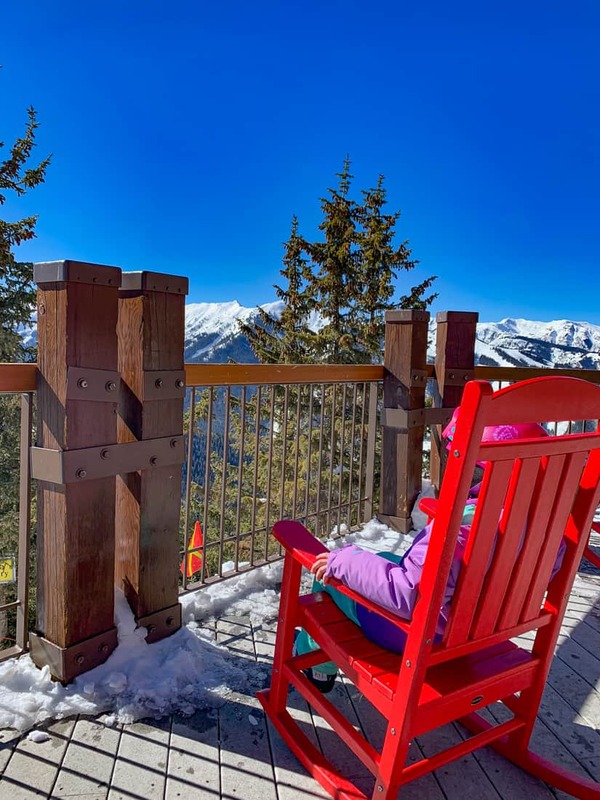 Buttermilk Mountain is considered the family mountain with ample green and blue runs. There is also a convenient bus called Max the Moose for kids who have already checked into ski school that will pick your kids up in town and bring them (with a ski pro in supervision) to the lessons. This allows parents to tackle harder hills or kick back at the resort while the kiddos have lessons. Snowmass was our favorite of the four mountains. 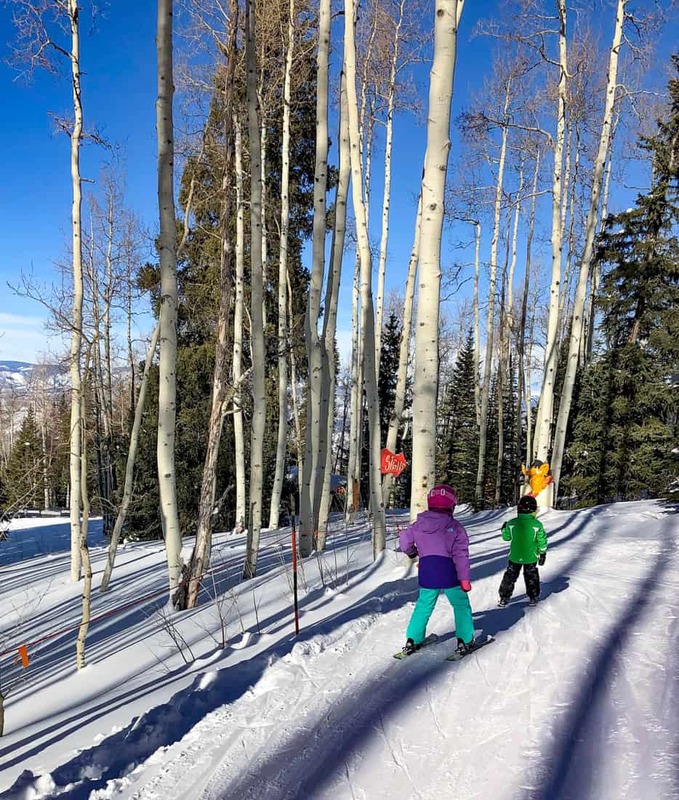 But truly, the best of all four spots for an entire family is Snowmass. Larger than almost all three other mountains combined, Snowmass offers all types of terrain from beginner magic carpets to the hanging wall black diamond area for those looking for more of a challenge. 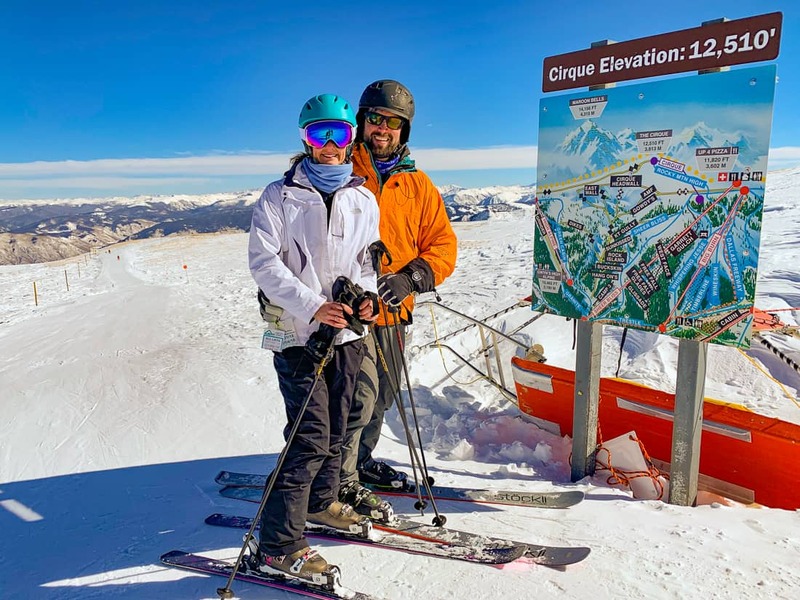 My husband and I took the old school pommel lift to the top of the mountain one day and I honestly almost skied off the side – the mountain views were truly so amazing. What you can’t see is how happy mom is not having to deal with ski boots right now! I’ve said it before and will say it again, ski school is worth every penny. Your kids will listen to the instructors, and you will be amazed at how much they learn in a short time. Our experience with Aspen/Snowmass ski school was awesome. 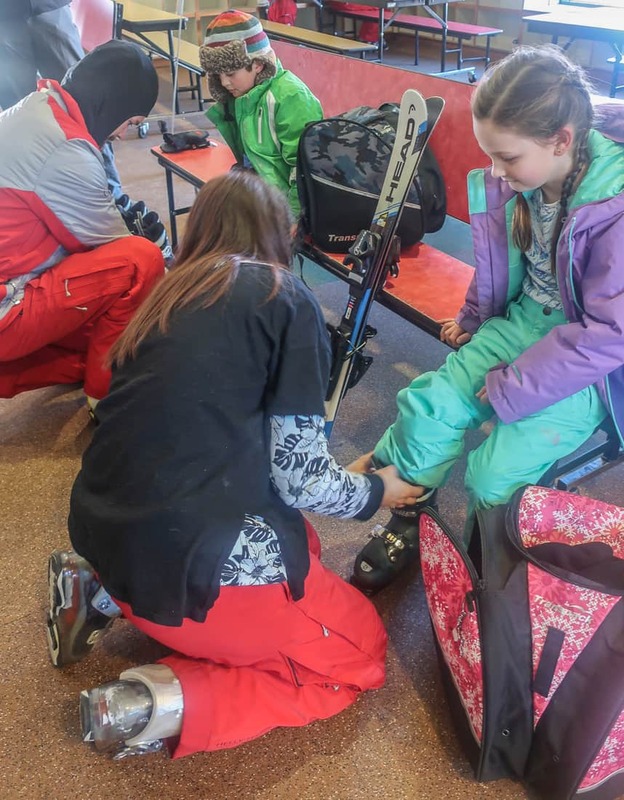 The Treehouse at Snowmass Village base is the hub for ski school’s drop off and eager instructors will assist with difficult ski boots. Ski instuctors whisk kids off into their groups. After two days of ski school, they loved to show us all the little tree trails and gulleys they had found along the way. 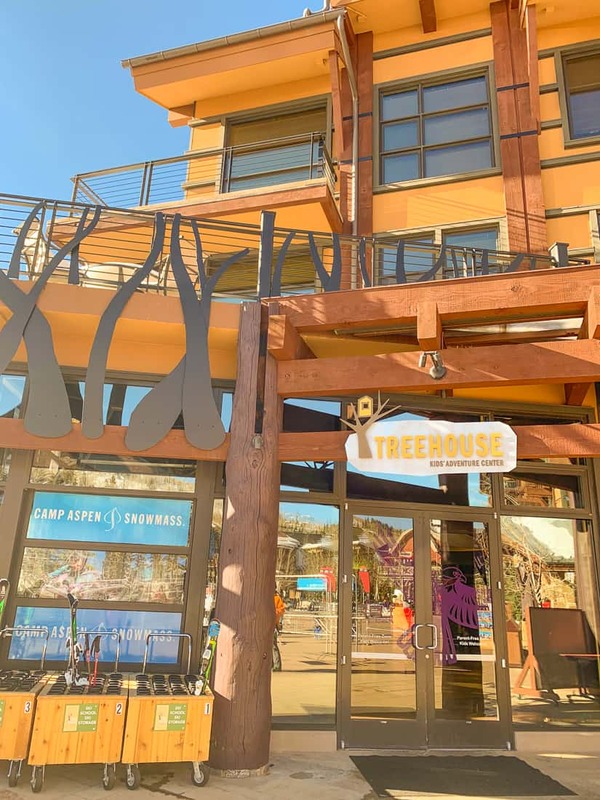 Treehouse at Aspen Snowmass offers a day camp for non-skiing kids, an adventure center, and is the hub for all ski school lessons. Repeat students can leave their equipment onsite. No lugging! Meeting up for a final few runs of the day in the afternoon as a family was one of the highlights of our trip. One super fun part of ski school here that is different than some of the other spots we’ve tried is Race Day. The kids’ ski instructors were amazing at the Aspen Snowmass Ski School. Our kids showing us the locations of the tree trails and gullies they learned in ski schools. My son eagerly awaited for this, and my daughter, although apprehensive about the competition, nailed it. Shortly after lunch on Thursday, the upper level ski school groups head to mid-mountain to a small slalom course with a parent viewing area. They sing the national anthem, and staff announce names over the loud speaker. Kids get their first taste of hearing their names and racing. My daughter placed in 3rd and —like a natural rule follower— perfectly rounded every gate on the course. My son technically placed first with the fastest time but only because he bombed down the mountain avoiding every turn. We clearly have something to focus on for his next lessons! 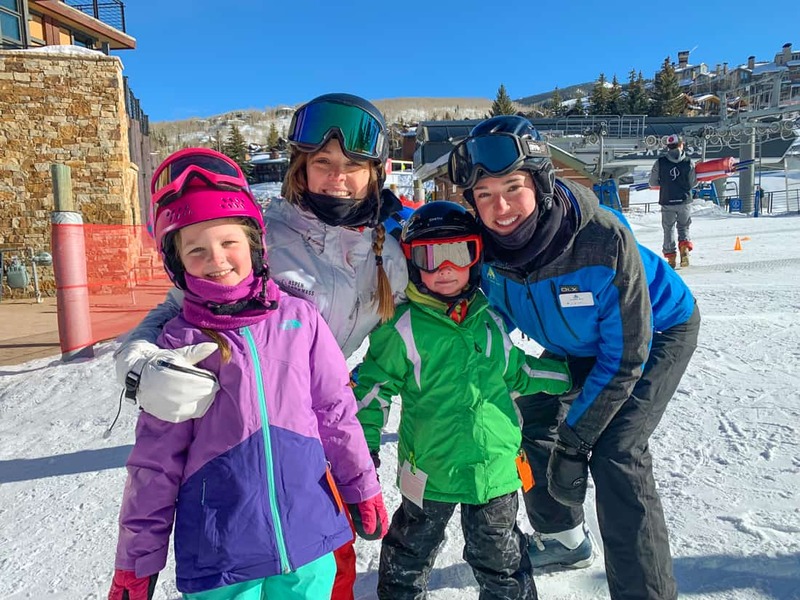 After a full day of ski school, families can gather back at the base. There are free s’mores from 3.30-4.30pm, a perfect end to the afternoon. A S’more how-to is not what my kids need. They are fluent in s’more making. Snowmass Base Village is the up and coming area to be. There’s a new Viceroy and Limelight hotel onsite. It is easily accessible by the constant and free public transport. Although if traveling with young kids and staying in Aspen, I would recommend a rental car. One kid up, one down at the Snowmass rink. My kids begged us to go skating on the brand new ice rink in the center of the village and after renting free skates, my husband and I just laughed hysterically from the sidelines as they twisted and fell like little deer. 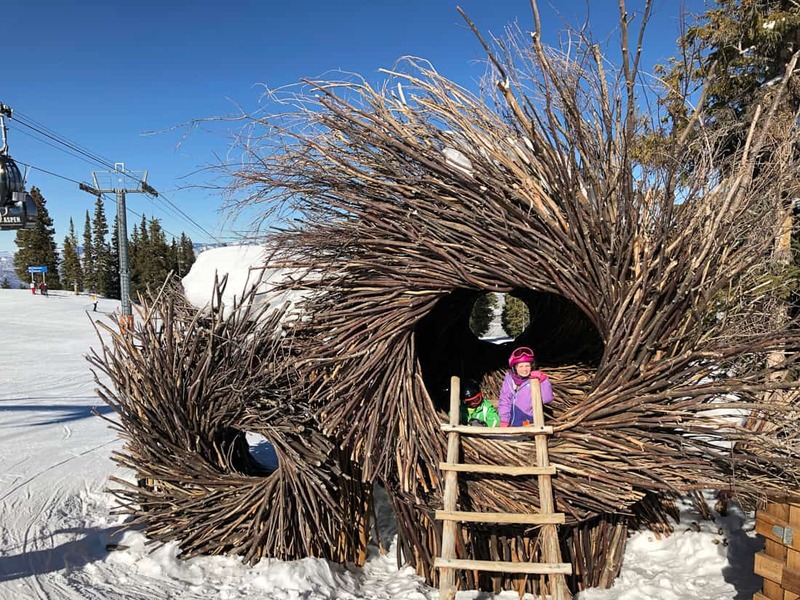 There is a nearby amazing doughnut shop that offers beers and hot cocoa as well as spiked coffee for the parents to enjoy their time as spectators. 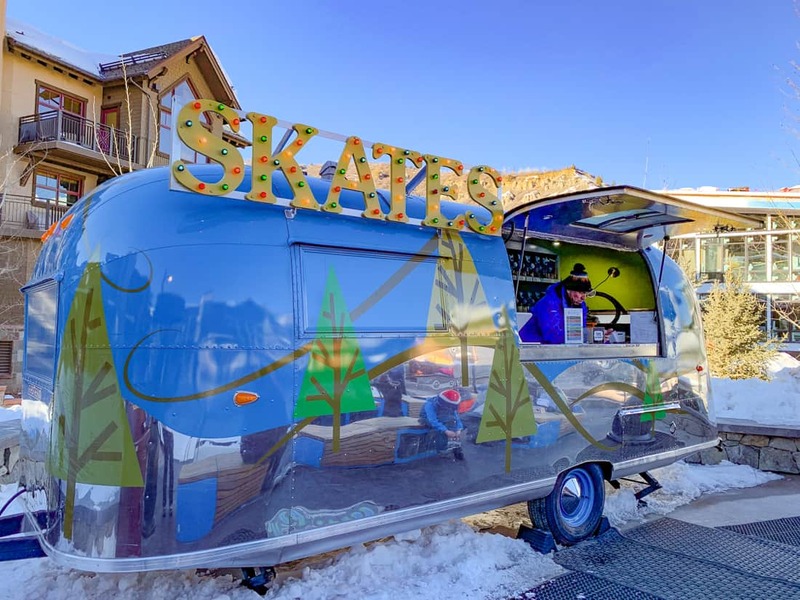 Skates are complimentary at the Snowmass Village rink. 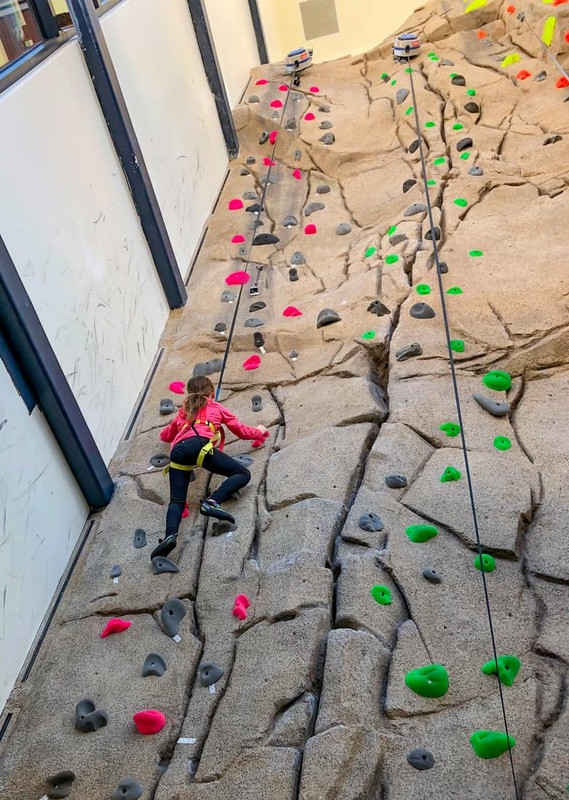 Right off the rink, the new Limelight hotel has an amazing five-story indoor rock climbing wall that is free to onsite guests and open to the public. For 30 minutes your kids can tackle the three walls. 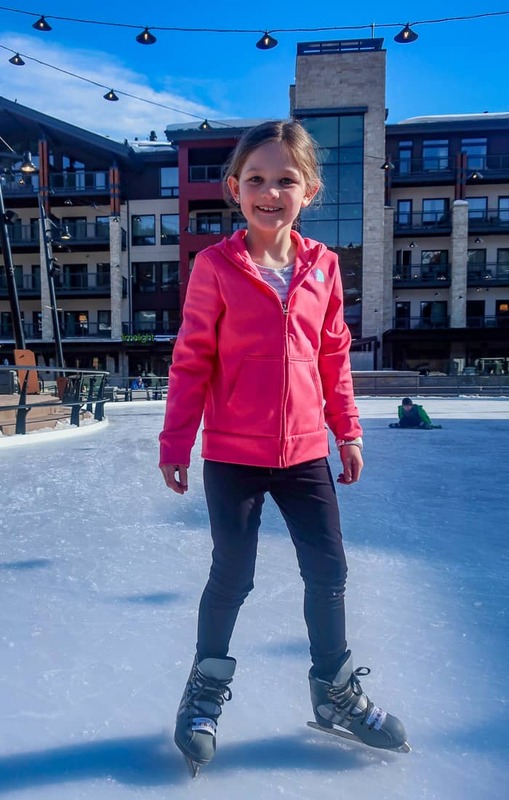 Although we figured our kiddos’ legs would be shot from three days of skiing and skating, they still scurried up to the halfway points to ring the rock bell in satisfaction. We were shocked after a day of slopes that our kids still wanted to and could climb to the top of the wall at the Limelight Hotel. 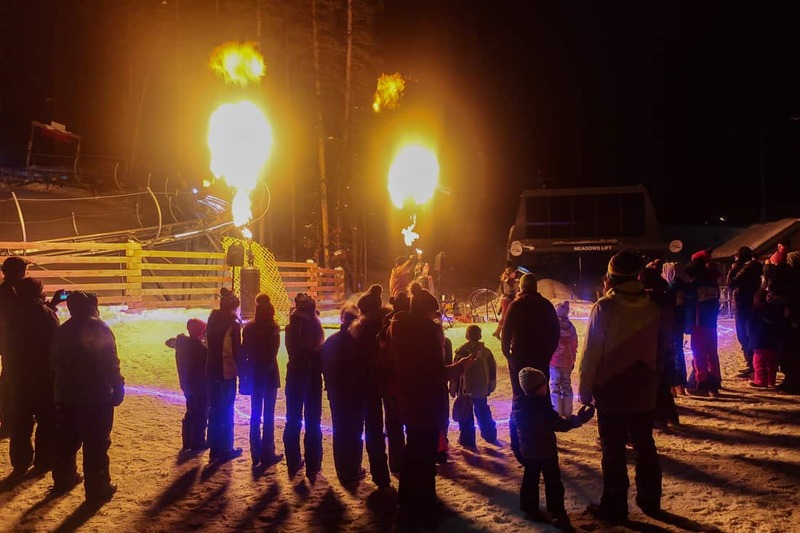 On a Friday night, be sure to join for Ullr Nights – a celebration to honor the Norse God of Snow. This was one of our best nights in town as a family. After checking in at the base dressed in ski-ready layers, we boarded the gondola. The event is at Elk Camp at mid mountain. The day had been perfectly clear, and the night was equally so. The stars seemed close enough to touch, and we were all mesmerized. It was a bit creepy quietly hanging from a gondola in pitch darkness and silence. As we approached Elk Camp, you could hear the thump of drumming and music. We could see a glow from the fire throwing entertainers. There were s’mores, a full a la carte dinner operation, entertainment, and tubing. But we were there for one thing – the Breathtaker. This rollercoaster built into the side of the mountain has over a mile of speedy track. Our adventuresome kiddos asked for repeated rides on the Breathtaker. Friday is the only time the coaster runs at night. Although it was chilly, soaring through the dark was exhilarating. We kept riding until no one could feel their fingers. 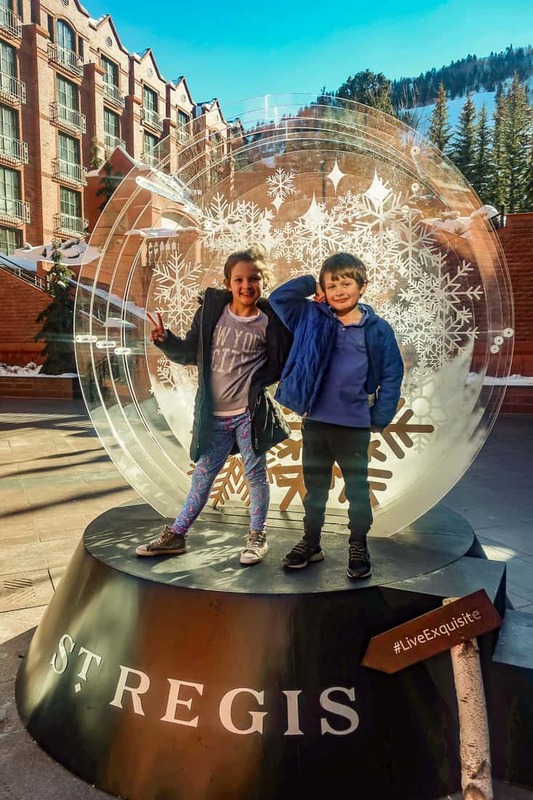 We loved Aspen Snowmass and will be back! 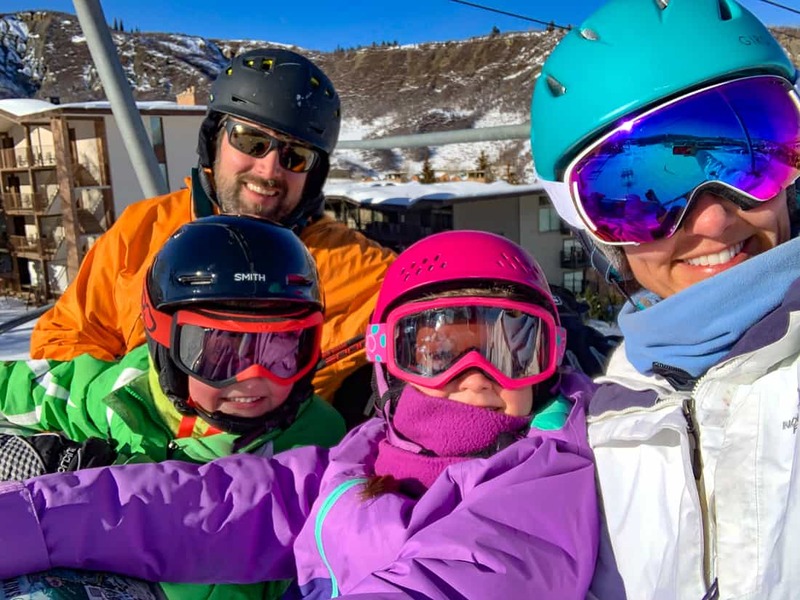 Aspen delivers an exceptional ski vacation for families at every ski level. 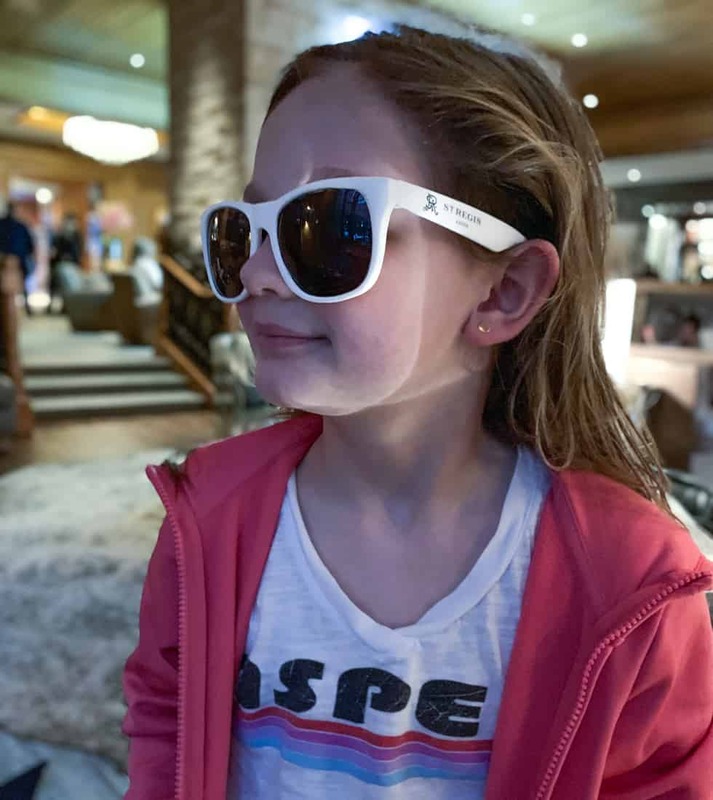 The amazing shopping and restaurant options, and off mountain activities could keep families busy for days! We’re headed back for sure. 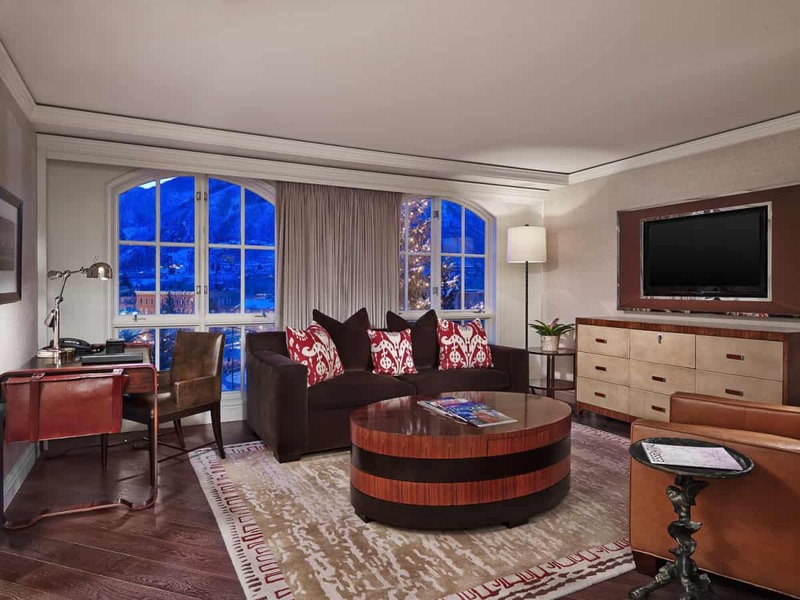 Check your dates for rates at the St. Regis Aspen. Or check out our guide to the best family ski resorts in North America. 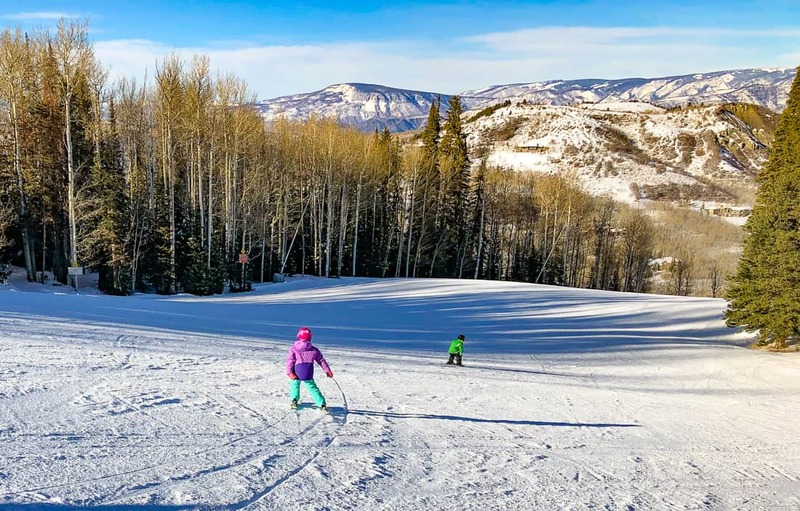 Aspen Snowmass provided tickets to Ullr, ski school sessions and lift tickets for the children in exchange for this review, but these opinions stated are my own.